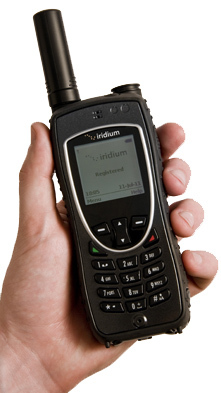 Iridium EXTREME 9575 satellite phone is the latest handset from Iridium. The phone works anywhere on Earth and provides the most reliable voice, data and location-based GPS satellite service in remote areas. Iridium Extreme is the toughest and most rugged satellite handset on the market with military grade durability and IP-65 rated protection for the most demanding customers. You can choose an Iridium prepaid plan according to your needs, budget and the region of use. No monthly fees, no credit checks, no deposits, no overage charges! Review the plans below and pick one on top of this page. The Emergency Plan offers lower start-up cost for individuals and organizations who need satellite communications only for emergency or occasional use. The Emergency plan can be used anywhere in the world. Upon expiration or depletion of the initial minutes, the Iridium account can be reloaded with any new voucher. Iridium Global Plans feature one flat rate for the entire Iridium coverage area. The most popular choice is the Global 500-minute plan with 12 months of validity. For heavy users, we have 3000- and 5000-minute plans with rates 30-40% lower. Rechargeable with more minutes at any time. The Northern Lights Plan provides discounted airtime rates for customers using their Iridium phones in Canada and Alaska. Rechargeable with Northern Lights voucher(s) at any time. The Northern Lights Plan can be used within Alaska & Canada only. It WILL NOT work anywhere else. The Africa Plan offers discounted airtime rates for customers using Iridium satellite phones from Africa. Rechargeable with Afirca vouhcer(s) at any time. The Africa Plan can only be used in Africa and WILL NOT work anywhere else. All incoming calls are free for the Iridium subscriber (but not for the caller! ), except for two-stage dialing calls, which are billed at the outgoing call rate. Rates for outgoing calls to other destinations such as other satellite systems, premium numbers, etc. are higher. Each voucher has a validity term, which commences upon the voucher's activation. All prepaid minutes and other airtime will expire upon the end of the validity term, unless a new voucher is loaded to the account before the expiration date. If a voucher is not extendable, all minutes will be forfeited on the expiration date. By purchasing and using Iridium prepaid SIM-cards, airtime vouchers and services, you agree to SATTRANS Iridium Prepaid Account & Voucher Rules.